CLEAN SHAPES FOR YOUR BATHROOM Light, uniform lines and rounded bases create a bathroom series characterised by understated elegance. 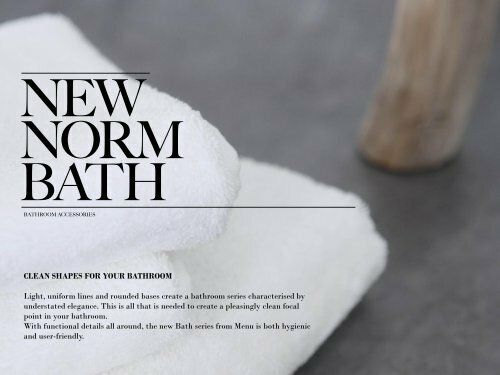 This is all that is needed to create a pleasingly clean focal point in your bathroom. With functional details all around, the new Bath series from Menu is both hygienic and user-friendly.